We AVOID Stress at all costs! We remove things in our lives that cause stress. We get divorced, quit our jobs, complain, and make our selves sick, because of stress and trying to avoid it. Stress is a major cause of illness from cancer to auto-immune diseases. Stress causes PTSD, depression, chemical imbalances, etc…. We know this and it has been studied at length that prolonged exposure to stress causes damage in a person’s life. So how can I say that it is the greatest gift we never open…. 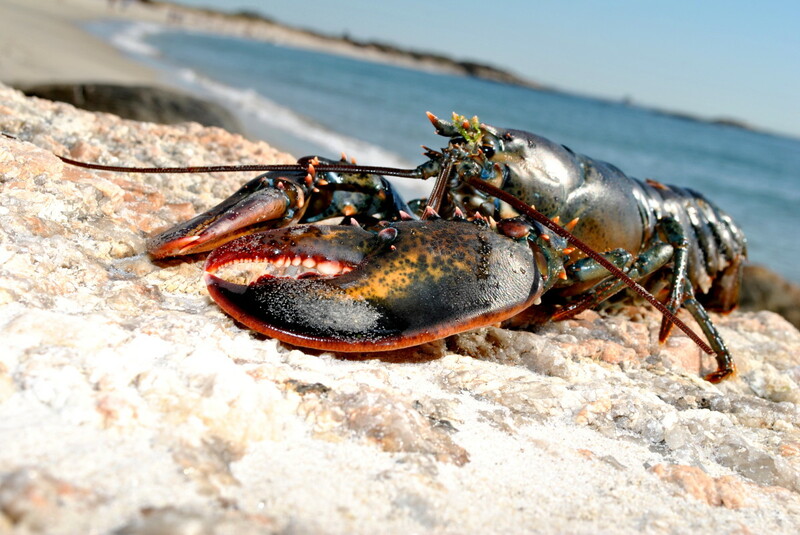 A lobster is a soft animal living inside a hard outer shell. When a lobster starts to outgrow it’s shell, it becomes uncomfortable. So it heads down to a rock to hide from predators and casts off it’s shell. It then grows a new shell with more room. If the lobster never feels the stress and pressure of it’s shell then it would never grow. Think about any time that your clothes begin to fit a little too snug. You have 2 options, get larger clothes so you have room to grow, or adjust your life to remain in your current sized clothing. The same is true in all areas of our lives. Financial stress can cause a huge burden on relationships. But understand that if you have a stress in regards to finances, only one of two things has happened. #2 Your shell has shrunk and it’s time to make an adjustment. Stress in a marriage is an indicator of change. It doesn’t mean you run for the hills it simply is an indicator of growth, forwards or backwards. My wife and I have had a few times where we felt marital stress. Each time it was because there was change that NEEDED to happen. Once it was financial, several times it was personal growth. Often times when someone starts to get healthy it puts a strain on relationships around them, friends, family, and work. The danger is when we run & hide to avoid the stress. There’s trouble in the marriage so that must mean it’s time for a divorce. There’s trouble at work so that must mean it’s time to quit. There’s trouble at school so that must mean it’s time to move. We have conditioned ourselves to hide from stress so much that we have missed the great opportunity. Stress shows us where we need to adjust our lives. If we are growing then it means we need to move to a bigger shell. Sometimes that means moving to another location. Sometimes that means hanging out with new friends and unfortunately neglecting old ones. Sometimes that means we need to make a huge shift in how we interact with our own lives. Just like the lobster, when you start to feel stressed about something take time to reflect and grow. Decide what you need to change and change it. It happens to me often enough that I have learned when to change the outside and when to change the inside. More often than not I need to adjust my perspective to fit the growth. It also works in reverse. Many times in my life I have moved to new locations that were a lot more expensive than I could afford. But I knew what I was doing. I knew that I was being called there and because of that, provision would come; every time I was taken care of. At one point in my life we were losing our house, my business, and everything we had worked hard for. The change that we decided on was to move to Hawaii. We sold everything, rented our house out and left for the islands with 9 bags of stuff 2 kids in tow and 1 more just a couple of months from joining the family. I had purchased 3 one way tickets, and booked a hotel for 3 nights. No car, no job, and no place to live. Miraculously everything worked out. Within a week we had bought a car, secured a place to live and I had a job. Don’t wait until the pain of being stuck begins to destroy your life. If you remain in stress, you will start to have problems. Things will happen to you seemingly out of your control. You will begin to die inside and out until either the stress is gone, or you are gone. I’m not telling you to quit or move, I’m just telling you to find out why you are stressed and discover what you need to do about it. If you feel that your marriage is failing it’s more than likely something completely fixable if both people are willing to work it out. If your job is too high of stress, it could be just because you are feeling under appreciated/paid. Ask for a raise! Whatever the stress is, don’t wait…go get it.